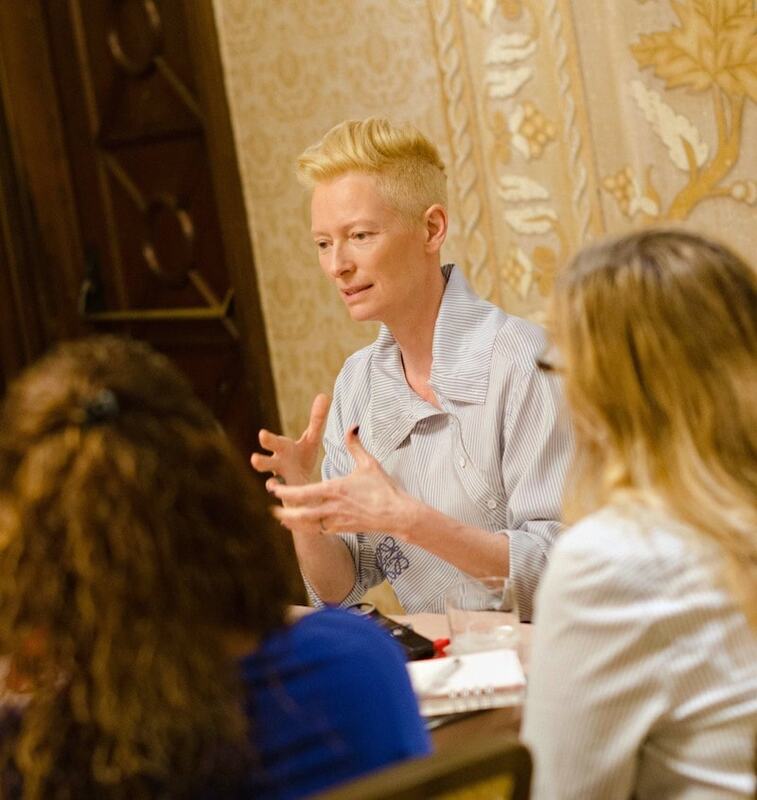 Tilda Swinton is one of those rare humans–the highest caliber of quality inside and out–a true artist. Meeting her wasn’t like meeting just any celebrity. She’s so much more than just a movie star. She puts a tangible piece of herself into everything she does. 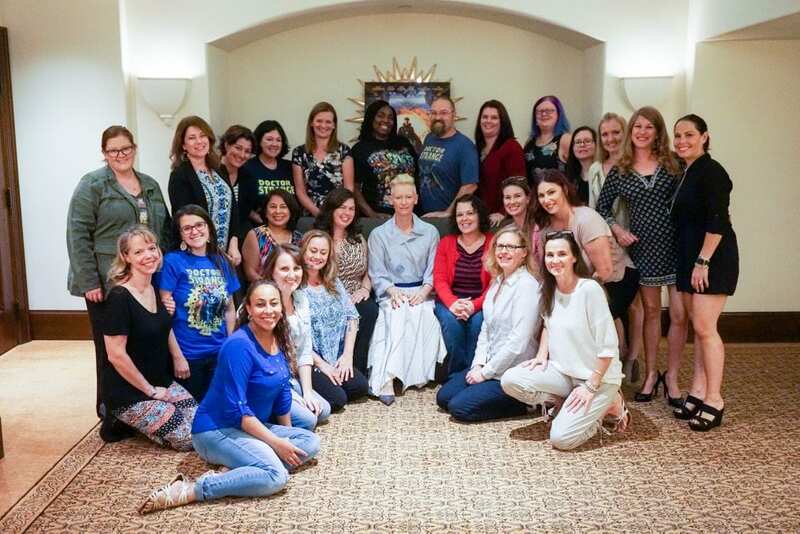 Watching her characters come to life on screen is like experiencing her presence in the room… so, it was more like being reunited with a supreme being. 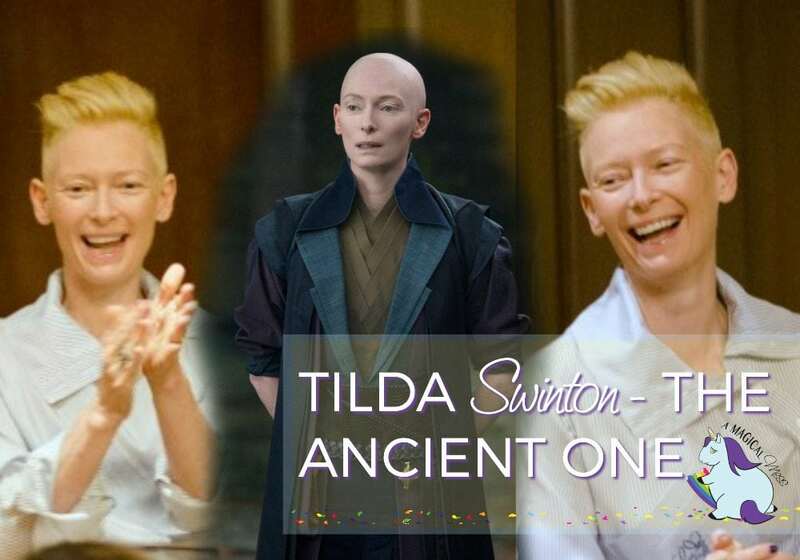 This interview with Tilda Swinton as The Ancient One was part of an all expenses paid press junket for DOCTOR STRANGE. Her entrance into the room was so genuinely happy. She clapped for us. I still can’t get over how stunning she is in person. She’s got such a versatile look–she can appear purely evil, beautiful, bizarre, or rather bland. In any case, she looks incredible and I’m pretty sure she wasn’t even wearing any makeup. 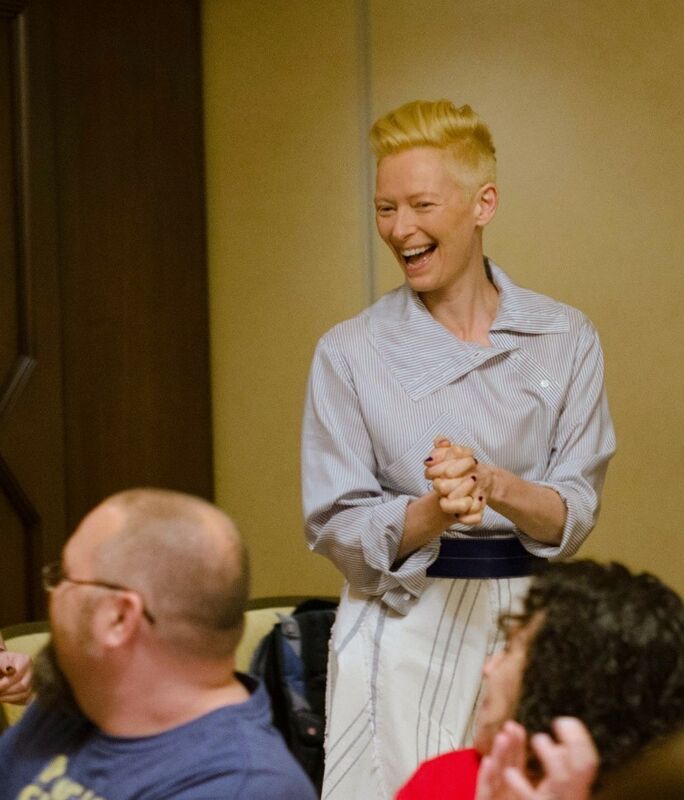 What was it like getting into costume for The Ancient One? 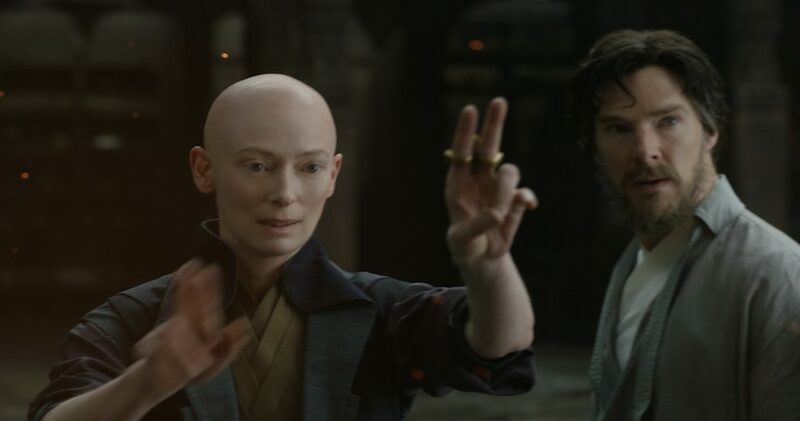 The Ancient One (Tilda Swinton) and Doctor Stephen Strange (Benedict Cumberbatch). Photo Credit: Film Frame ©2016 Marvel. All Rights Reserved. Did you have any struggles with this particular role? Marvel’s DOCTOR STRANGE. 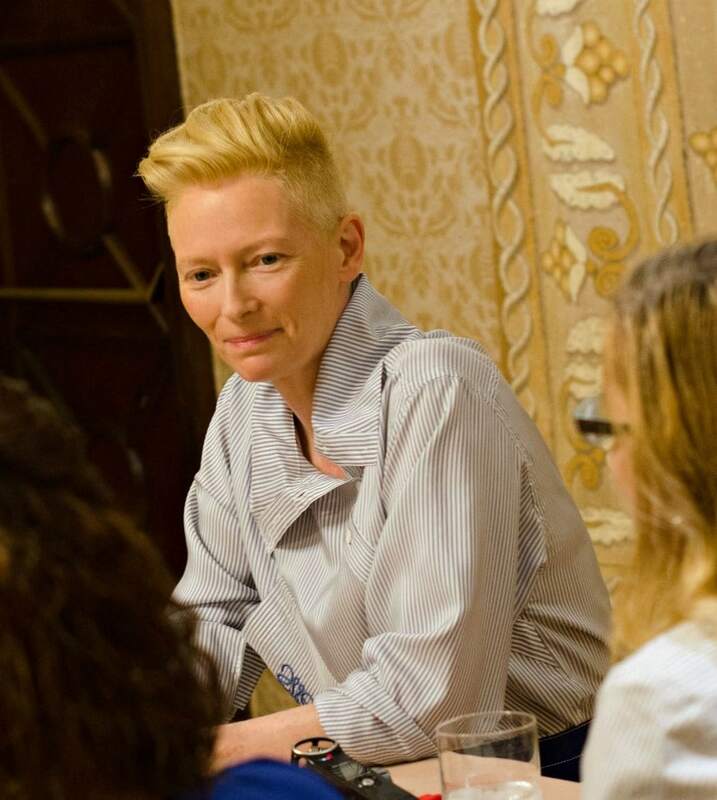 The Ancient One (Tilda Swinton) Photo Credit: Film Frame ©2016 Marvel. All Rights Reserved. How did you feel about being cast in a role that’s traditionally an Asian man? TS: “…the fighting is fantastic fun, really good fun, and difficult and interesting in fun ways. But, yeah, tough. Lots of looping about, and I set myself the task that the Ancient One would be completely serene through all the fighting. That was something… One thing that I find very challenging–and I would challenge anybody to do these moves without making sound effects like a nine-year-old boy… that was quite hard–not making faces. How did you feel about being bald in the movie? What was the dynamic of everyone on set? What are your thoughts after seeing yourself in the film? … seeing it all come together? Was there any ad libbing on set that made it into the film? TS: “Oh yeah. Scott was very clear from the beginning that even though the script was really sound and very good, he wanted us to be free and easy… there’s a lot of nodding and winking that wasn’t scripted… There’s one ad lib that I made that we laughed so much at that’s not in the film. When I throw [Doctor Strange] out into the Himalayas and then I come back… I wanted to say ‘That’ll do, pig.’ That’s my one disappointment about the film–they said they thought that maybe the Ancient One wouldn’t have seen ‘Babe.’ But, I think the Ancient One knows everything. But… Scott was very welcoming and wanted us to throw stuff in, and we did. Was there anything you learned about yourself while making this film? 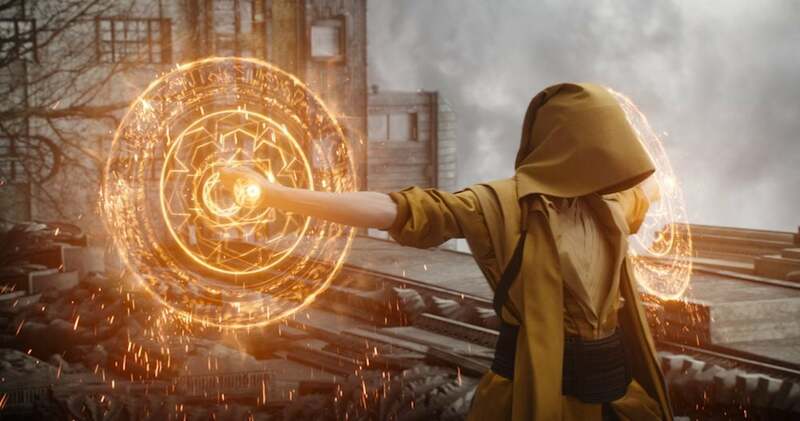 How would you describe your character, The Ancient One, in one word? After the audition, what were your feelings upon hearing you had gotten the role? 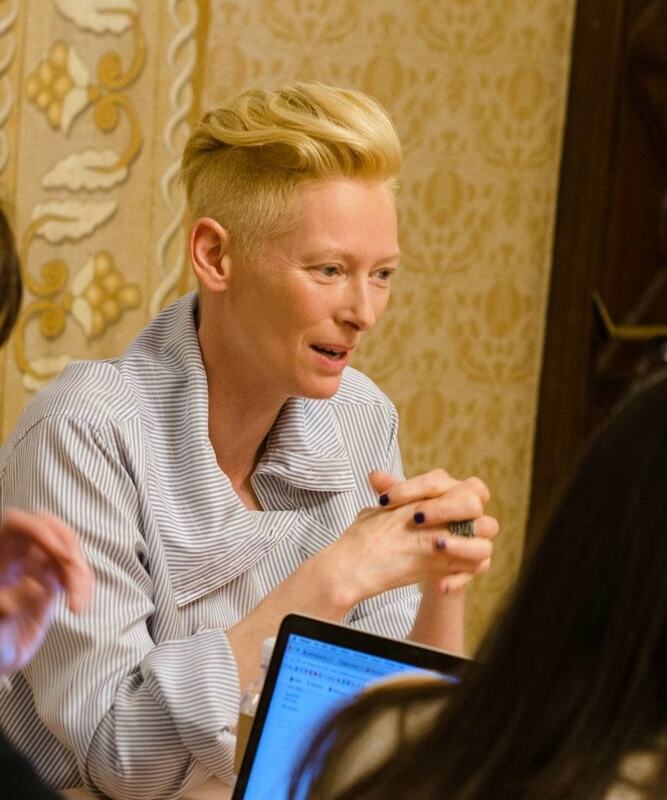 Next up for Tilda Swinton is a great horror film remake, “Suspiria“. She’s a big horror fan and her eyes lit up when she talked about this film. Can’t wait to check that out! 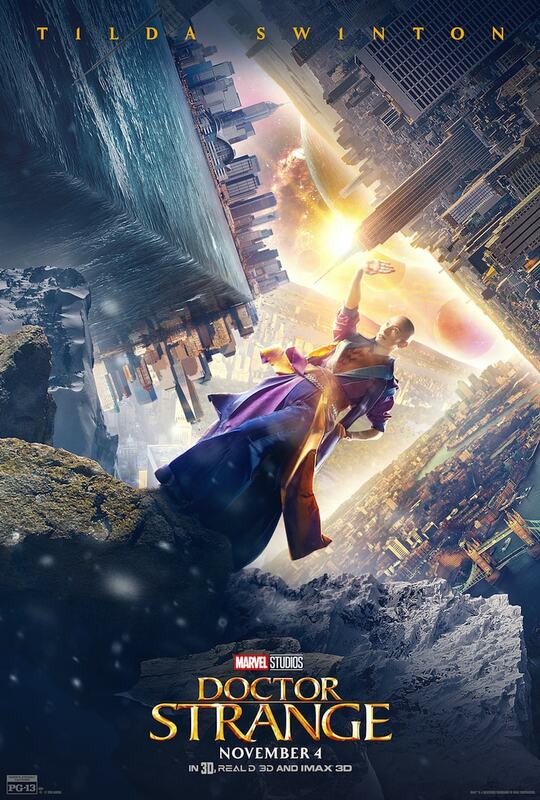 See DOCTOR STRANGE in IMAX 3D this Friday, November 4th! What a fantastic chance to get to do this interview. Wonderful lady. Now I have to see the film. 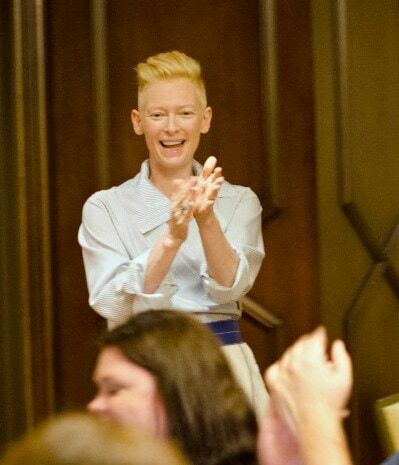 I remember first seeing Tilda Swinton in a movie called Orlando. It was a strange movie, but really interesting. I think that might describe all of her movies, lol.